Keeping up the pattern of these later-airing episodes during this forth season of Lost, nothing outright killed the simulation theory, but there was plenty to support it. The main confirmation came from the appearance of Horace. In The Myth of Lost, I explain my theory on Jacob, and how one of the possible people I believe him to be, is Horace Goodspeed. Now, before this episode, there was really no reason for anyone to suspect this, since many viewers don’t even remember who Horace was. First appearing in flashbacks in “The Man Behind The Curtain” episode when Jacob’s cabin is first shown, I believed that Horace’s introduction here was no accident, but that HE was the man behind the curtain (in addition to Jacob, who I believe is basically Horace stuck between two worlds.) My theory was that Horace had so much invested in DHARMA, that he refused to leave the simulation and had gotten stuck there, creating Jacob. This was why Jacob had asked for help from Locke. “Cabin Fever” seemed to confirm this theory, or at least, showed that I’m on the right track. We learn that Horace built the cabin and that it was his. Therefore, it makes sense that he would return there if he were stuck in the simulation. Also, Horace tells Locke that if he finds where he is, he’ll find Him—meaning Jacob. 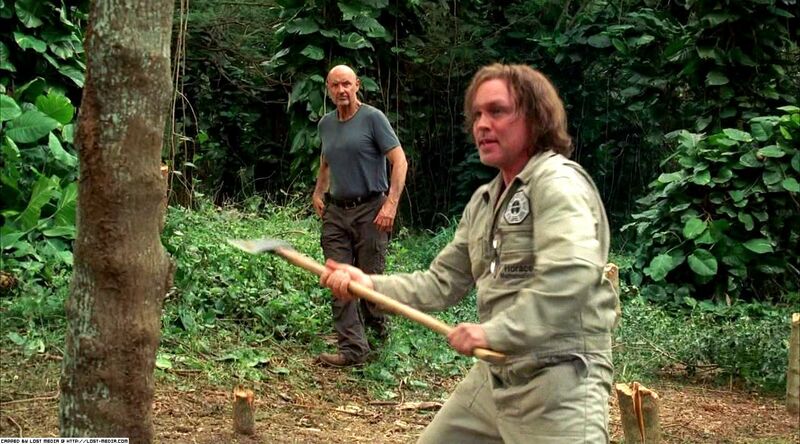 We also see that Horace is stuck in time in Locke’s dream, continually chopping down a tree to build his cabin. This fits perfectly with my theory that Horace is stuck between the real world and the simulation. He has placed himself in his happiest time—setting up the island for his DHARMA dream, while in real life, he’s likely in a coma. 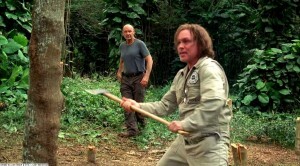 Another telling hint is Horace wishing Locke “Godspeed” on his search to find the cabin. This is particularly of interest since Horace’s last name is Goodspeed, a similarity I point out in the book. 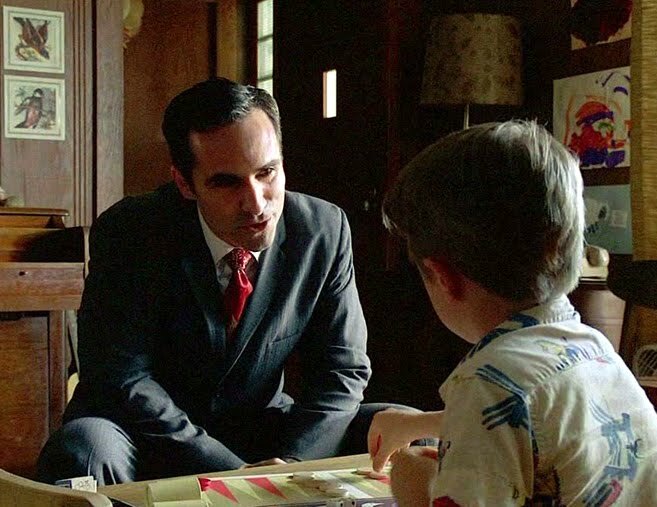 Another interesting happening in this episode has Richard Alpert, looking just as he does in 2004, visiting Locke in the early 1960s. How can this be? Is Richard Alpert somehow immortal? Did he time travel to get there? Either explanation fits with the simulation theory, simply by looking at the simulation as a place for scientists to develop advanced techniques to be utilized in the real world. While entirely possible, perhaps it makes more sense if it’s not really Richard who visits Locke, but someone completely different and since his mind is hooked up with, say, Juliet’s, her memory of Richard visiting her mixes with Locke’s of some random dude and wallah—Richard is plugged in. Another possibility is that Richard is just another reincarnation of the Smoke Monster. The creators seem to want us to think this since in the scene where he was first shown, Locke’s grandmother is about to “smoke.” The creators have continually dropped smoke hints during scenes where apparitions appear, such as the “no smoking” sign on the wall in the interrogation room just before Hurley sees Charlie and the smoke detector which goes off before Jack sees his dad. The smoke monster appearing as different characters does fit with the simulation theory and is discussed in the book. The idea here would be that the smoke monster presents the challenges to those in the simulation and takes on different forms to do this. Of course, there are many explanations for Richard’s appearance, but the point is, the most popular still work with the simulation theory. 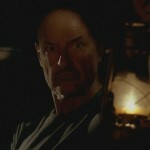 Another interesting, albeit barely noticeable, occurrence in the episode, was Locke’s eye color. I’ve actually only recently become aware of how the eye color of various characters often seems to change thanks to the Lost Is A Game theory. This is the second major theory I’ve learned about recently, the first being the Time-Loop Theory (referred to in my column about episode 4.9). The amazing thing about LOST is that it can have so many theories and so much about each will make sense. However, I’m beginning to think that the time-loop theory is NOT the solution for two reasons. The first is that the writers seem to be leading us in that direction now, similar to what they did last season with the purgatory theory, which we know is not the answer. Just as a magician leads an audience to where he wants them to focus, so too do the Lost writers while they make magic happen elsewhere. The second is that a time traveling island is not a simple solution that can be plugged in and have most everything explained once you know what it is. 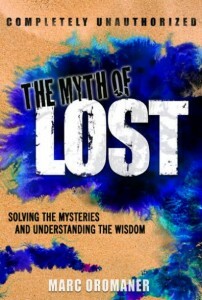 However, I do find this to be the case though with the Lost Is A Game theory. I even think that with the most recent episodes having Ben whine that “he broke the rules” it makes even more sense. Problems with this theory though is that it makes the actions frivolous and of no real world meaning as the creators have promised. Unless, the game is the game with real lives, which is even closer to my theory. According to the Lost Is a Game theory, the show is like a Sims videogame with the various characters being played in the real world. The explanation for eye color change, as far as I understand it, is that a character’s eye color depends upon which role he’s playing at the time. 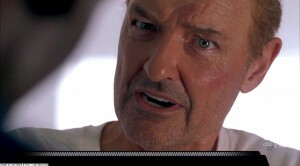 During the flashback scene with Locke in the hospital, Matthew Abaddon tells Locke that he should go on a walkabout, despite being in a wheelchair. Locke scoffs at this but Abaddon says he should do it and Locke should thank him later. As the elevator doors are closing, it seems that Locke has two different color eyes—green and blue. Has Locke just been told his destiny and begun switching roles? Lost Is A Game theory would probably say yes. I think it’s a cool premise, albeit, kind of trivial. It’s one of those things that might never be fully explained. As for the simulation theory, since I believe the flashbacks are all part of the simulation, it’s possible that this explanation can still kind of work. However, since simulation theory is more about improving real people’s lives than simply playing a realistic game, I’d say that the eye color relates more to the character’s inner-change. He has discovered his destiny and so a hint of his future, stronger self has shown up in his eye color. Perhaps, even in the simulation theory, you must pick up a certain amount of energy or even points to leave. Still, I look at the simulation as something to change real lives unlike the game theory which, as I understand it, views it as a complex game where the characters are just avatars of real people. Still, I like this theory more than the time-loop theory since it is better equipped to explain all the mythology. More directly concerned with the simulation theory, is Abaddon’s comments during this scene. That he had gone on a walkabout, convinced he was one thing, and had come back another. According to him, a walkabout is a journey of self-discovery. Since, according to the simulation theory, everyone on the “island” is meant to go through a challenging experience to discover their true potential, perhaps Abaddon had been a former patient who had cured himself through the island adventure simulation. Now cured, he talks others into going as well, in this case, John Locke. Perhaps he was so amazed by the program, he decided to help run it, and that’s why he sends in Naomi’s team—to help save it from Ben’s Others on the island (a virus of sorts) and Widmore’s militia on the freighter (hackers of sorts). 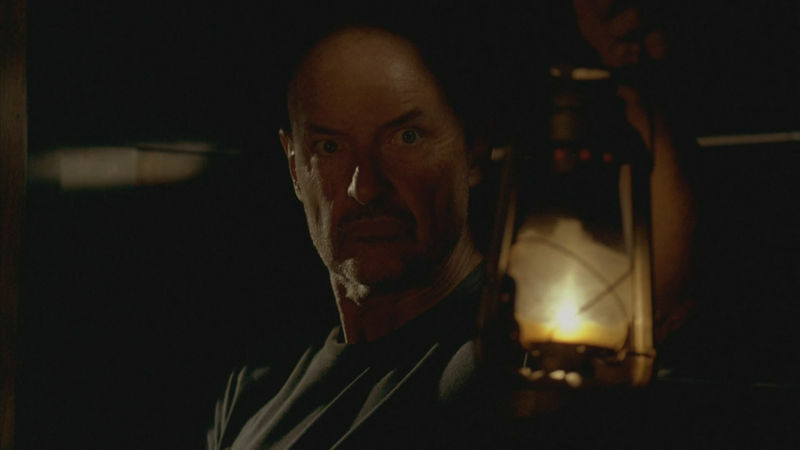 At the end of the episode, Locke enters Jacob’s cabin and sees both Christian and Claire there. According to the simulation theory, Christian is still alive in the real world, but manipulating the action outside the simulation. Since we’ve seen him both on the island and off, there is at least some truth to this theory. How would the simulation theory explain Claire being in the cabin? I believe that Claire is actually dead at this point (in the simulation world only, so alive in the real world). Killed when her bunker blew up. This is even hinted at when Claire is reunited with the others a couple episodes ago and when asked how she’s feeling, she replies, “I’ll live.” Miles than sneers, “I wouldn’t be too sure about that.” At the time, I thought this was a foreboding hint at Claire’s future demise. I now believe that Miles could already sense that she was “dead,” but that she may have been hanging around the simulation because her child was still there—also explaining how Christian could be there since both Claire and Jack are his kids. Perhaps the keepers of the simulation only allow people outside the virtual world to appear inside if they have a blood relative in the program. Or, perhaps when a relative in the outside world talks to his semi-conscious family member while he’s hooked up to the simulation, the patient can hear him, creating a ghostly image within the simulation. This could also explain how Locke’s dad could be there. Somehow, these blood relatives provide a link from the outside world, allowing them to appear to the patients within the simulation. Kind of crazy I guess, but with Lost crazy is par for the course.